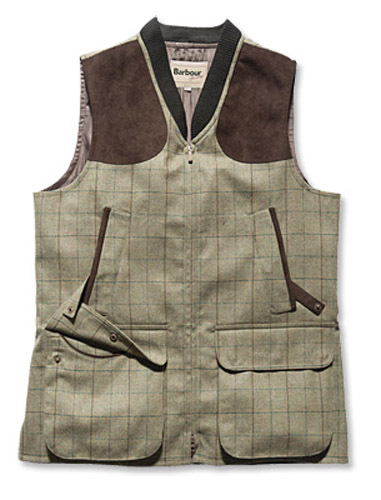 Sporting Tweed Waistcoat. For sale within the UK. Designed to be worn with the Sporting Lightweight Washable Tweed Jacket or on its own, the tweed waistcoat features bellows pockets with flap retainers for easy cartridge access, a shawl collar for comfort, and Alcantara shoulder patches. It also has the added bonus of being machine washable, windproof, and breathable.